Shares of the troubled electronics retailer Best Buy (BBY) cratered Friday morning, after its board of directors gave founder Richard Schulze more time to shore up financing for his buyout bid. In late August, Best Buy's board gave Schulze a Dec. 16 deadline to come up with a reasonable offer. The two sides have now agreed to push the deadline for a fully-financed bid to Feb. 28 in order to give Schulze and potential private equity backers time to see how Best Buy fares during the holiday season. "Both parties believe that allowing Mr. Schulze to bring his offer after the holiday season and fiscal year end is in the best interests of shareholders," the company said in a statement. Once Shulze makes his offer, Best Buy's board will have 30 days to review it. Best Buy's stock dropped 15% Friday, a day after rallying 16% on reports that a bid in the range of $5 billion to $6 billion was imminent. Now investors are wondering whether Schulze can actually line up private equity sponsors willing to back a bid. The holiday season is expected to be dicey for Best Buy, as the retailer faces increasing competition from the likes of Wal-Mart (WMT), Amazon (AMZN), and Target (TGT). The retailer's most recent quarter didn't offer any auspicious signs when Best Buy announced declines in revenue, profit and same-store sales. The company has also had a management shakeup to deal with. Brian Dunn abruptly gave up the CEO post in April after an internal investigation into his relationship with an employee, and it took four months before Best Buy found a replacement -- former travel executive Hubert Joly. 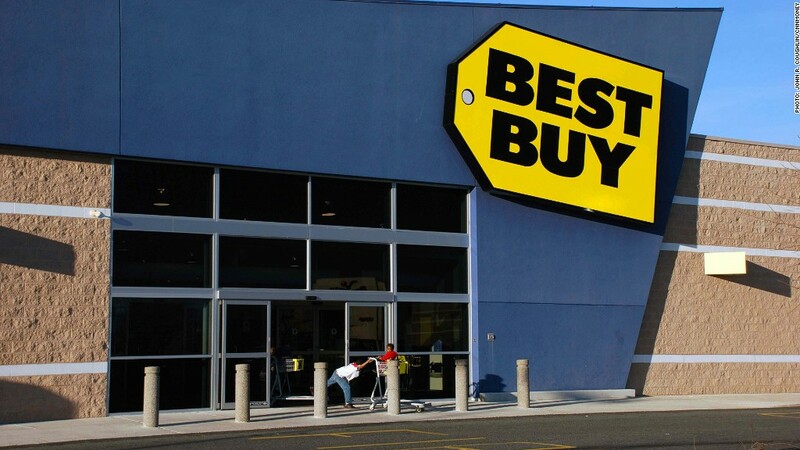 Even before that, Best Buy was struggling to compete with online retailers. Shares of Best Buy are down nearly 50% this year.